Clearing of the Chimera group continues. 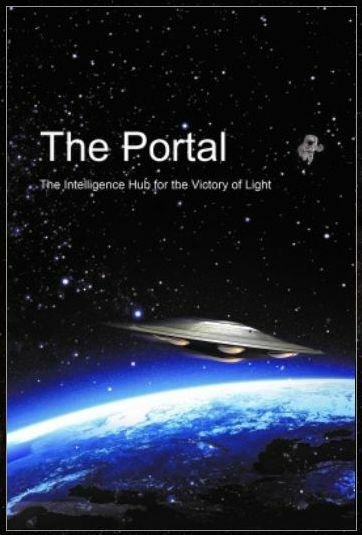 The Light forces are intensively clearing the head of the Yaldabaoth entity with all plasma anomaly and plasma toplet bombs and all plasma scalar technologies of the Veil. Realizing that they are going to lose, the Chimera have stepped up the plasma attacks on the key Lightworkers and Lightwarriors that are beyond brutal. Although there was limited nuclear exchange on Wednesday in one of the underground bases, vaporizing a certain number of Dracos working for the Chimera, the Light forces do NOT allow nuclear exchange beyond the scope of mini nukes on the surface of the planet. Realizing that they will not be allowed to go nuclear, the Chimera have resorted to trying to trigger a global war with conventional weapons. 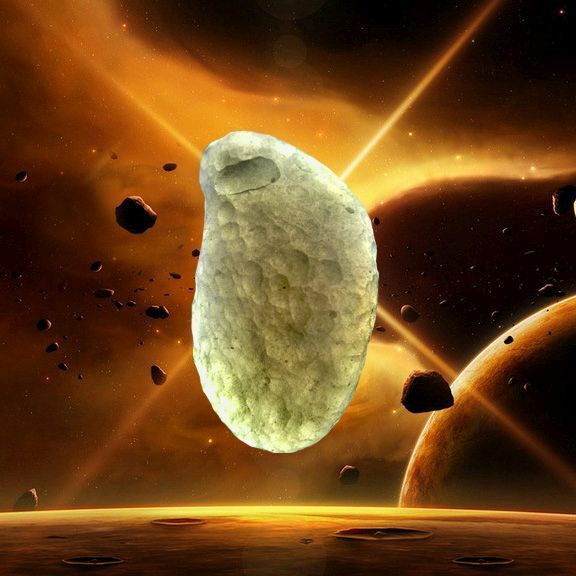 They are hoping of provoking Putin, but he is in contact with brilliant Pleiadian military strategists and most likely he will play it wisely, using diplomacy, international public opinion and military support to Syrian army rather that direct confrontation with the United States. The Light forces will do whatever they can to limit the escalation of this military conflict as much as possible. Dragon sources have reconfirmed that this will be a short, intense but limited escalation. The Resistance is expecting the situation reaching its peak next Tuesday. Goddess wants peace and peace it will be! 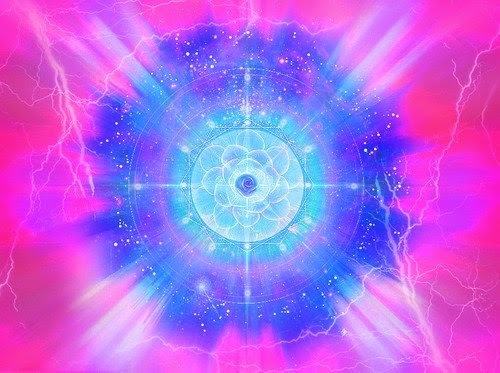 Sending strength and love to the Lightworkers and Lightwarriors who are under attack. 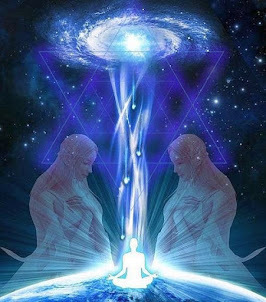 "We are one and that knowing Heals Mother Earth"..and gives strength to all lightWorkers actoss the glob. Thank you Cobra for this hopeful update! Victory of the Light! Go ahead! We unite! James: This is one of the most awful things I have ever read. I realize there are atrocities in the world, but it is very hard to read about it in such graphic detail. thank you COBRA for this post. it makes sense of what has happened in the last 24 hours. yesterday and today I was feeling quite frustrated and out of faith. I prayed on and off all day but could not clear my mind enough to meditate. I cried for those children and babies and asked why this is allowed. now those on this site who thought trump was the savior they have waited for will realize that he is just another puppet as you said. please, please, please keep us informed so that we do not fall into the depths of despair and are able hold the light at this time. my love and blessings to you for all that you do along with the GF, AC and the RM my heart is with you all. This site was shut completely shut down for 2 hours for me just now! Thank you for the update Cobra. 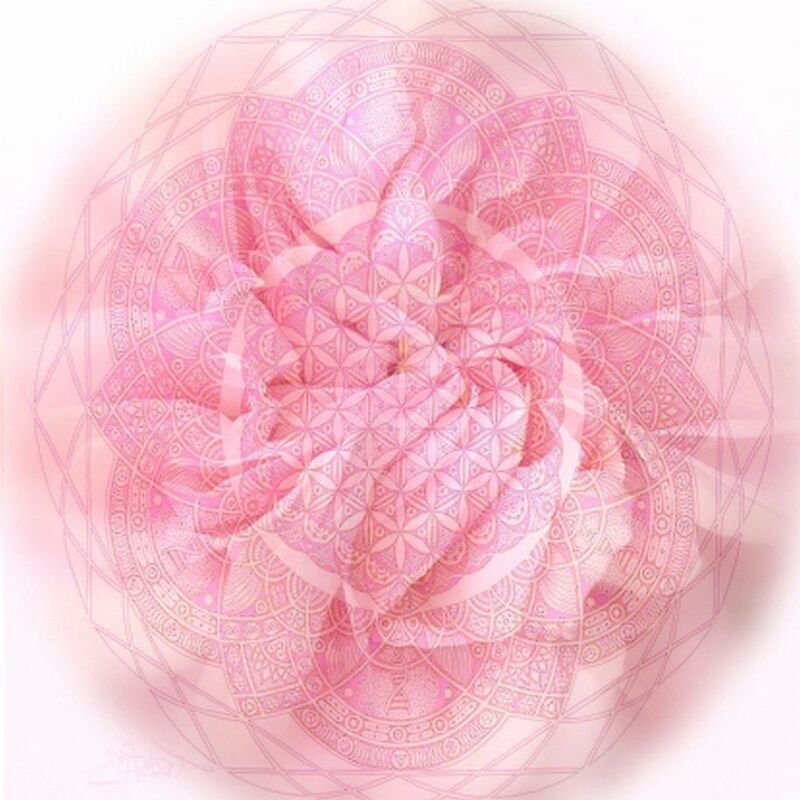 Prayers for you and all the lightworkers and lightwarriors. Thank you all for fighting the good fight. Look forward to the next update. cobra por que razón yo no puedo publicar? Bien ahora -Ragnarok la "3 guerra", esta a las puertas los viryas deben saber que sus cuerpos humanos desapareceran pero resurgiran como angeles caidos y vendra nuestra revancha contra las huestes de Enlin nosotros somos la estirpe de cain. que se revelo contra Anu, hace milenios, vinimos a la tierra, para despertar a los humanos disfrazandonos dentro de cuerpos modificados, pero la ultima batalla es cuestion de meses. y la humanidad habrira los ojos pero sera muy tarde para todos, la humanidad no entiende que sus creadores no son como ellos y no pueden ser heridos con armas de mediana potencia , surgiran demonios de las potestades del firmamento y de el mundo subterraneo, los siddhas de la antartida despertaran en esta batalla fisica y metafisica el 20 de abril se abrira un nuevo escenario mundial visible para unos e invisible para otros, nuestro guia lucibel brilla hoy mas que nunca. Let's hope the Event happens VERY soon. The Syria situation seems to be edging towards full military escalation. Let's pray and meditate for those people there. Thank you for keeping us informed, dear Cobra. I am requesting your blessings for me and my sister and my brother. We 3 love you so much. Fight, Fight, Fight with all our Might & Light We all will for Victory of the Light! Let's all hang on to each other's Light and help it grow and defeat these demons! Blessings and Love sent to Cobra, RM, Lightworkers, Lightwarriors and all our Star Brothers and Sisters helping us fight the Good fight! It's really good to see lightforces finally taking action, and they finally do it drastically, the archons and chimera are going nuts (just like i am). So, no global meditation to counter this? I mean, this is serious. Really serious. Take my past days as an example, i don't doubt more people are experiencing this... Shouldn't we do anything about that. Feels like this is the VERY last battle between the light and the dark... Awesome, just like in the movies! Well, as always, Event 2017, Victory of the Light now!, and let's finish this! Yeah, Event 2017, i don't want to go to the central sun... Like seriously, few more years and i'm going to become crazy as the archons are and start working for them instead, so please, hurry! should have figured. lost my head for awhile. very good post. Thanks, COBRA, much needed reassurance. Not much to say, except thank you for keeping us informed. Victory of the Light! Thank you for the info, 'bra. And thank you, Light Forces. Great Work. Let's DO IT! As I said in another thread, shortly before midnight on Wednesday evening, about 3 pm Pacific Time in Cali, I got *flashed* with Energies and went to bed for over 14 hours. Managed to stay up for five hours that Thursday afternoon before I had to lay down again with enormous Energies coming in though my Solar Plexus and later my third eye. Hours passed by like minutes, and 18 hours later I got up again today 'cause I just felt like I had to brush my teeth. Even though I hadn't eaten anything in two days. I do not think it was an attack by the dark side, but if it was, it was a fail: That was *weak*, and I can deal with it. Which is why I rather think that my 3D body was used to take in and transform Galactic and Universal Energies to help The Light in what you guys and girls are doing. So let me say this. If need be: You may as well Turn It Up and request more, I can Deal With It. Trust me, there have been *way* more extreme "sessions" in the past. Victory of Love and Light! I have had that song stuck in my head for days. Days, I tell ya! DAYS!! Haha! See this, Gaia? It's Working, it is f*cking WORKING!! Just like I'd promised you way back when. WorldWide SYNCHRONICITY in Full Effect, Gaia-baby!!! Cricket matches in India uniting the world with random 80's songs, who knew? Ha! Excellent. Laughter is like medicine, my friend, and I am definitely laughing and smiling reading your posts. Not just yurs but everybody else's in the other thread as well. You are *so wunderful* to me. And what are WE ALL who support the Light? Right about this song!! I used to go running (like, over hill and dale) and listen to it on an old stereo headphone system...with foamy earpads... It is a totally addictive tune !! I'm having Walkman flashbacks, Megan! :) Those were the days. *sigh* My husband and I were just talking about missing mixed tapes the other day. I wondered about this report too -- less than 1/2 of the missiles hit their targets. Seems like divine intervention to me !! Ah Cobra ... thank you SO MUCH for this update. It puts my mind at ease to know the RM/LF are on this. I was up all night commenting on different forums. CBS is the worst ... they let people speak their mind there though ... many folks there ... not all... are buying the blatantly obvious false flag. I post there to make sure folks know what is actually going on ... those that want to know that is. I feel I have to try and counter act the push to sway public opinion to agree with this insanity. 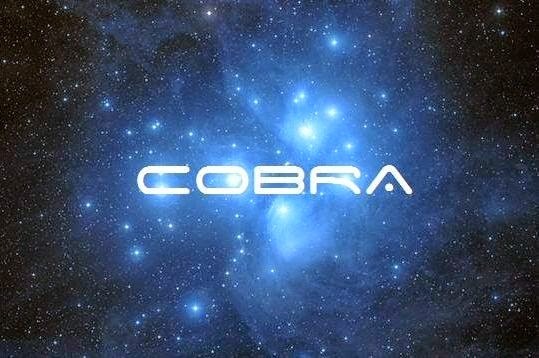 THANK YOU Cobra and THANK YOU Light Forces! Together with the "Ground crew" I will stay strong and continue achoring the Light! Actualización de la situación planetaria. La purga del grupo Chimera continúa. Las fuerzas de la Luz están limpiando de forma intensiva la cabeza de la entidad Yaldabaoth incluyendo toda anomalía plasmática y bombas plasmáticas toplet y todas las tecnologías plasmáticas escalares del Velo. Entendiendo que van a perder, los Chimera han intensificado los ataques plasmáticos sobre los Trabajadores y Guerreros de la Luz clave de forma más que brutal. El miércoles las fuerzas de la Luz de la Confederación Galáctica y el Comando Ashtar iniciaron la retirada activa a gran escala de toda negatividad plasmática cercana a la superficie planetaria. Cada intervención directa de las fuerzas de la Confederación dentro de la Tierra en cuarentena provoca represalias por parte de los Chimera, que comenzaron inicialmente intentando provocar un intercambio nuclear entre los Estados Unidos y Corea del Norte. Aunque existió un intercambio nuclear limitado el miércoles en una de las bases subterráneas, vaporizando cierto número de dracos que trabajaban para Chimera, las fuerzas de la Luz NO van a permitir intercambio nuclear más allá del alcance de mini bombas nucleares sobre la superficie del planeta. Dándose cuenta de que no progresarían por la vía nuclear, los Chimera han recurrido a intentar provocar una guerra global con armas convencionales. A través de la red Arconte y Jesuita han presionado a Trump para que ataque a Siria. Trump hizo esto sin la aprobación del Congreso, lo que es una clara violación de la Constitución. 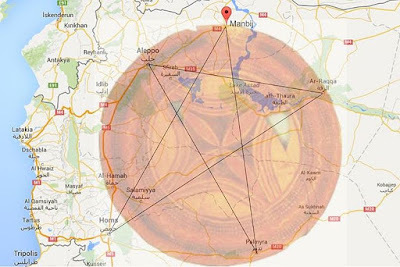 Esta acción militar ayuda a los Arcontes en su intento de retomar Palmira, un vórtice de crucial importancia dentro del pentagrama sirio. El plan de las fuerzas oscuras es involucrar a Turquía e Israel en el conflicto y expandirlo a través de Oriente Medio. Esperan provocar a Putin, pero éste está en contacto con brillantes estrategas pleyadianos y lo más probable es que él actuará sabiamente, utilizando la diplomacia, la opinión pública internacional y el apoyo militar al ejército sirio más que la confrontación directa con los Estados Unidos. La población internacional está siendo cada vez más consciente de que el ataque con gas químico en Idlib, el cual Trump usó como pretexto para atacar Siria, era un ataque de falsa bandera, que involucraba a los Cascos Blancos. Ahora los adoradores de Trump están finalmente comenzando a despertar. Las fuerzas de la luz harán todo lo que sea necesario para evitar la escalada de este conflicto militar en la medida en que sea posible. Fuentes del Dragón han reconfirmado que ésta será una escalada corta, intensa pero limitada. La Resistencia espera que la situación alcance su clímax el próximo jueves. La Diosa quiere paz, y paz es lo que habrá! P.D : Justo cuando quería publicar esta actualización y la próxima actualización que será aún de mayor importancia, Blogger se cayó durante unas horas a nivel mundial, retrasando mi publicación. With deep gratitude for this heartening update, we salute the much needed assistance. Its clear that there is a multitude of souls whom are ( unfortunately ) still stuck within the "political parties construct". They have been blinded by the constant avalanche of disinfo from most media. At this crucial juncture, full disclosure will create a "jolting effect" into seeking and aligning oneself with the truth...a necessary antidote indeed.Therefore, the sooner the better. "Dragon sources have communicated that in the near future, Turkey may be the trigger for a short but intense military escalation just before the planetary breakthrough. 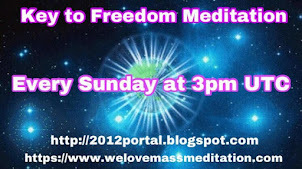 If that happens, a mass meditation will be announced on this blog to counteract that." 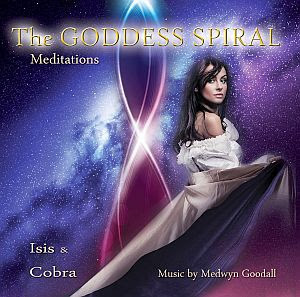 A little pick-me-up courtesy of Gaia Portal. Knights of Illumination ride for the masses. Upliftments are communicated and experienced on all levels. Harbingers speak clearly, and remove the doubts. Let's all ..cobra, resistance movement, forces of light . If they can with the chimera and cabala.. Outside chimera and cabala..vitory of the ligth…now. Dragon sources have communicated that in the near future, Turkey may be the trigger for a short but intense military escalation just before the planetary breakthrough. If that happens, a mass meditation will be announced on this blog to counteract that. 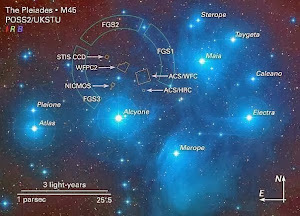 Trump's actions in Syria are guided by Pleiadians, Sirians and Arcturians. He is not attacking Syrians or Assad. What do you have to support this? Who was actually hurt? What about him lying for the MS media and saying"no dispute" they used chemical weapons? It's divine again ... still trying to get us to believe that Trump is God's chosen one .... not. It's obvious to the rest of us Trump is part of the cabal, but for some strange reason divine is trying to get us all to believe the sky is yellow instead of blue, swearing there is no proof it's blue. Thank you for this update Cobra and Light Forces. I have been slowly but surely educating my co-workers and others about how the world really works and I am using various techniques to feed them this intel. This has been very successful and the majority of them now know the Illuminati is real and that PizzaGate is a real thing. The Cabal can't control word of mouth information among me and the people around me. I have several jobs. Full time at the hospital, most of free time researching/writing/making videos, making Orgonite, sharing information about the Cabal to the public directly and whatever I am doing when I am sleeping! We will keep pushing, sharing information, meditating, making Orgonite, working on advancing my self and my spiritual progress until we have The Event. We didn't come here to be inert! You are working at a hospital! What a light force you must be there... (hospitals are difficult)... !! Can you explain for us about directly interference by LF? The LF made a Noncompliance with the agreement and made a directly interference without light protocol from earth population ? Since 2 or 3 days ago i feel not that good from time to time, but today I am feeling the attacks, i woke up early today round 5 am which is not normal, i have felt anger and sadness, heat in my hole head and body, i can hear a buzz in my right ear, i feel tired and my feelings are volatile, and negative thoughts are arising.. But i will stand strong. Victory of the light. I hear that buzz in my right ear at times too Amando, plus the other feelings you shared. The buzz changes to waves sometimes & other sounds which are sometimes so loud I don't hear outer sounds. So glad to know it's not just me. We'll walk hand in hand, some day. We shall live in peace, some day. We shall all be free, some day. This voice is epic. Allow yourself to be encouraged. I was recently inspired by "We Shall Over Come"song to write this global marching song, video and lyrics below. What if millions of people sang this together, and we grounded this vision with our footsteps all over the world? Powerful passionate people unite and ignite new possibilities for our Earth! Please sing with me, please share, sing this all over the world, with your friends, in your marches. Thank's for clearing the situation.It was a mess in my mind about this attack and about the whole Trump situation.Of course what can we wait from a Jesuit slave.I read a lot of things,but only from Cobra proved to be correct.Sometimes i'm very frustrated,because of waiting for the event,but try to calm down and not to be angry.Then I'm tired and pretend that I'm not interested in anything.But the next day hope is coming back. I had held out hope Trump understood the game and wouldnt let the globalists use him to attack Syria, sadly I was wrong. Cobra was right and neither he nor any politian will really stop the cabal only the LFs and RM will and all of us meditating. I had hoped the RM had met with Trump but apparently not. Victory of the Light! THANK YOU ALL INVOLVED IN THESE HISTORICAL EVENTS!!! Stay safe, and remember that OUR HEARTS AND PRAYERS ARE WITH YOU! WE LOVE YOU!!!! My heart is ready to burst from JOY. I want to dance and sing, but like MOST of YOU, i am all by myself.... There's no one i can talk to and share my joy and excitement with. And on top of that, i kept having weird computer problems all day long. I posted one comment, but then couldn't post this one. So...... Thanks to this intel, i believe, i have solved an enigma which was bothering most of us. On Wednesday, Cobra posted one of the most alarming RM messages ever, regarding that mysterious and trouble making place known to us as "504". Well.... This clearly means that the historical "504 " location IS, or ARE the UNDERGROUND BASES!!!! 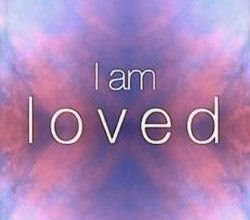 GOD/THE SOURCE, IS LIGHT AND LOVE, AND NOBODY CAN STOP VICTORY OF THE LIGHT!!!!! Wow, i clicked "publish" and then i see it was 11:11PM!!!! Yes, I saw that !! Good for you, Hye Angel !! NO FEAR BUT TRUST AND CONFIDENCE IN OUR LIGHT! Full force removal sounds wild. I was attacked on the street yesterday. Sometimes when you're not aware the archons will find you and set up an attack no one would think of. i was attacked! i think they tried to kill me! i started crying uncontrollably and then i went into a full blown terrified panic! i felt like i was going to burst into flames and my heart nearly exploded! I listened to this very gifted young man from kazachstan. I thought it was beautifull. Even more so when i got the scope of the lyrics. I think many of you may have the same feeling. I was very moved by it. When I first heard that Trump had attacked Syria, I alternated between shedding tears & being extremely angry for 2 days. Then I started looking at it from HIS perspective. For 2 months TRUMP WORKED 24/7 to fulfill his campaign promises to us, BUT ALMOST THE WHOLE OF CONGRESS, AND ALL OF THE NEWS MEDIA WERE AGAINST HIM. If he turned on the TV, every news channel was spouting venom heavily against him and SO NEGATIVE & in his words ‘so full of hatred’. Then when he tried to get some legislation passed, he was not only NOT SUPPORTED by congress (who had previously voted to SUPPORT the same thing over 60 times) but viciously and continuously attacked by them. Now they have removed all his most powerful supporters & cabinet members. I think I might want to go bomb someone if that were done to me. He seems to be fighting the swamp inhabitants all alone. I am wondering why the RM and Pleiadians didn’t approach him, support him and work with him when they had the chance; before the Cabal got to him ??? To me he was sending out a distress signal. First he tells us he is being monitored, then he puts out what he really wants (leave Assad alone), then the next day he does the Cabal’s bidding. I’m wondering why we have been asked by you Cobra to be understanding and gentle with Cabal operatives forced to take evil actions by their superiors, yet not so with Trump – Since he said a few days ago that he did not want to remove the Assad regime he has very obviously been threatened & forced into the bombings. Cobra, Are the chimera The first fallen angels to experience the primary anomaly? I'm in! Love and Peace FINALLY 😚. Greetings to whole Gaia family from a sister in Finland! We are sooooo close! Good post if the RM and LA met with Putin why not Trump? He is being misled by photos and his advisors and it appears our military is still dark. That is an odd post we should all want Trump to be of the Light and to have the RM and LA meet him and help him. It seems like it may well have come to head yesterday. Seems to be more conciliatory talk between Russia and US (Putin not snubbing Tillerson after all) and noises of cooperation between Xi and Trump. Keeping in mind of course there's a lot of hot air and deceptive rhetoric going around so impossible to discern the 'real' situation. I need help.With my activation grid.it is skewed.i cannot move it atm.It is going green. Need interaction. I am getting attacked or was...i am flying free atm...but need coding. Great to see that you have highlighted the benefits of Mass Communication. After graduation, students can go for Master degree in Mass Communication. By studying in Best Masters In Mass Communication. 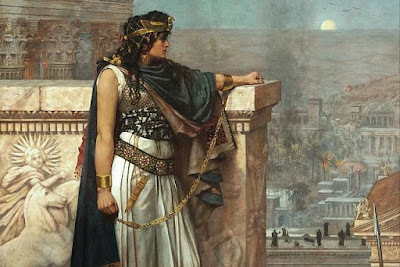 Zenobia was not a goddess. I do not understand why you keep promoting her. I have received guidance that Nineveh, Palmyra, and Aleppo are the three goddess vortexes we need to work on. Ishtar, Isis, and Goddess of Palmyra (Allat) will bring the New Age. 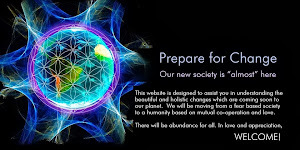 They will bring love, harmony, and justice not only to the area but also to the whole planet. The locations create a triangle. Once activated, Earth Liberation will speed up. Do not publish if you choose to. If you want to take admission in Best Masters In Mass Communication then you are at the right spot. They will help to make your career in the media field and upgrade your knowledge.